Clear your mind, clench your fists and get ready for a wicked battle. 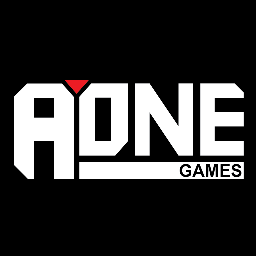 Hey guys, this is Sebastian Gana, Co-Founder and Technical Director here at AOne Games, creators behind the fighting game “Omen of Sorrow”. Today is a very important day for us, where we are presenting our fans (and those of you who might not know of us yet! ), our brand new Release Trailer — in which we are introducing 2 new characters: Arctorious, the Headless Horseman, and Thalessa, the Invisible Queen. Please enjoy the video above! Omen of Sorrow is a 2D fighting game which is inspired in classical horror but with our own twist for each of them. Some of these characters include Caleb, the fearsome Werewolf, or Adam, Frankenstein’s Monster. The famous Dracula has inspired our own Vladislav III; and Quasimodo, the Watcher, hails from the classic tale of the Hunchback of Notre Dame. 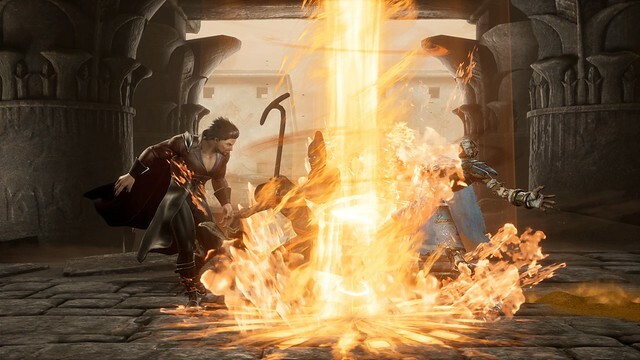 With a dark tone, you will feel the intensity of battle in different stages, such as a flaming forest, Doctor Frankenstein’s Lab, or the bell tower of a derelict church in the heart of Paris. It has been our intention to provide players with varied single player content, which is why we’ve added a dark Story Mode, in which you will be able to be part of the despair and madness in which the characters are involved in, as they search for the manuscript known as the Omen of Sorrow. The story plays out in branches, and you will have to play as different characters as you continue to progress and unlock new chapters in the story. 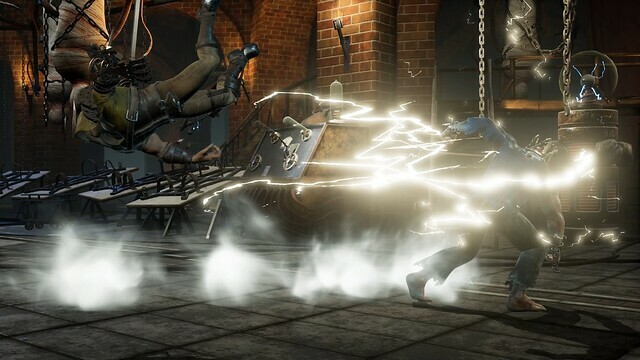 Staying in the single player mode offerings, you will also find a classic Arcade Mode, in which you will have to go through the gauntlet and end up facing a final boss. 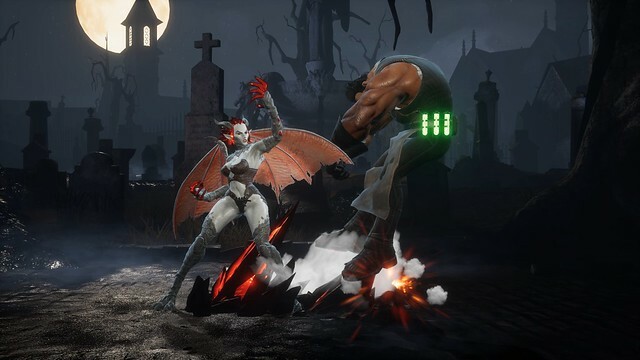 You will have to learn to dominate these battles so that you can unlock new characters for your roster! One thing we really want to do is to surprise players with our unique roster. In them, we’ve worked really hard to include unique gameplay mechanics that will allow you to take advantage against your opponents with different styles of play. 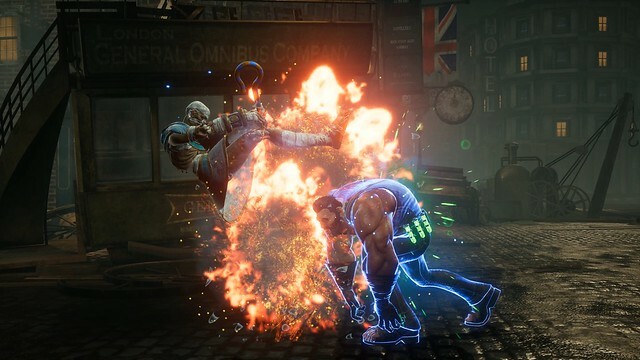 For example, Caleb is able to walk while crouching – a unique feature that can even allow him to avoid projectiles! Radegonda, our Gargoyle, can fly around the screen, where she is much more effective thanks to unique moves only available while doing so. The decrepit mummy, Imhotep, can switch to an exalted state in which his body separates into different parts to confuse your adversary. 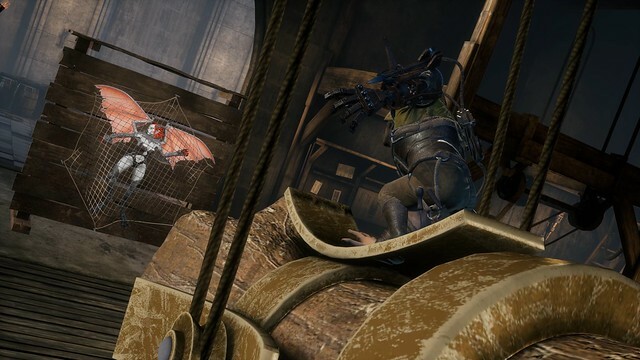 Another great example is Quasimodo, who can summon a bell that traps both you and your opponent inside of it, reducing the size of the arena and letting him use his agility in a very effective way! One of the defining characteristics of the game is how aggressive the combat is: being offensive during battle is rewarded by increasing your Fortune gauge, which in turn lets you go into “Blessed” state. In this mode you will be able to chain attacks and special moves in new and unique ways that, when matched to your agility and cunning, might create insane upsets that turn the tide of battle! The flipside to this is, of course, playing defensively. Do so too much, and your Fortune will decrease while your Destiny gauge increases – once this gauge reaches its limit, you will fall into “Doomed” state, a very bad thing! While doomed, your attacks and special moves will be significantly hindered, so be careful or you might lose the battle! We really hope that this sneak peek, and the new trailer, has you hungry for more! 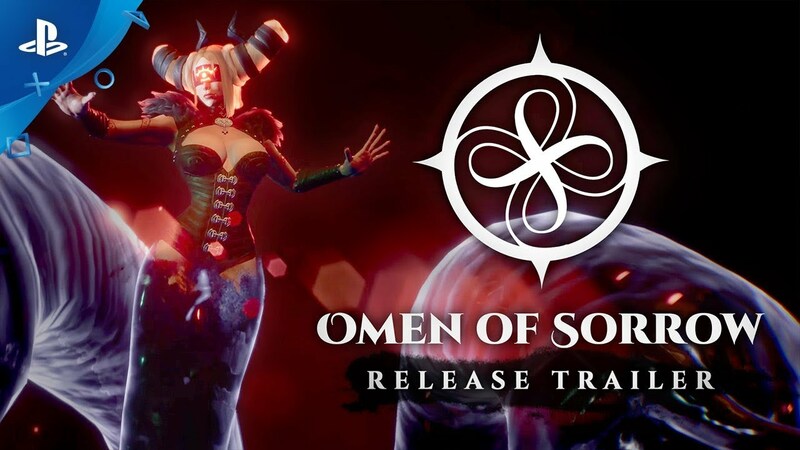 You will be able to enjoy amazing battles with Omen of Sorrow when it launches on November 6, 2018 at PlayStation Store! Whoa its finally here! Been waiting! So hyped! The trailer gives me a headache. Can anyone link steady gameplay footage? I’m really excited to play this once I get home as I pre-ordered as soon as I had the chance. I do play pretty much every fighting game out there, so getting this was a no-brainer. I hope it does really well as I know I’ll be having fun.